The mysterious prices of the Galaxy S9 and S9 Plus for the Indian market will be made official by Samsung likely within the first week of March. Samsung announced its flagship Galaxy S9 and S9 Plus phones globally at MWC last night. What the company did not unveil at the event though, were the prices of the smartphones. Latest reports now do confirm that despite the lack of clarity on the prices in India, pre-booking has officially begun for the two Galaxy phones. The Galaxy S9 and S9 Plus which come with new dual aperture cameras and Samsung's latest Exynos SoC can be pre-booked for Rs 2,000, which later gets deducted from the final bill. The pre-bookings are available only on Samsung's e-commerce portal and can be accessed here. The product strategy Samsung has settled for in the Asian markets here does seem to differ as interested customers in the UK and Canada can directly pre-order the Galaxy S9 and S9 Plus without having to go through an advance booking period. 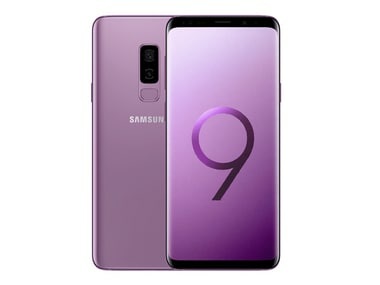 Both the Galaxy S9 and S9 Plus are available in three colour options — Midnight Black, Coral blue and the newly announced Lilac Purple. Once a user has completed the pre-booking process, Samsung will send an email and SMS with the final prices of the phones on launch day. According to a report by GSMArena, the mysterious prices for the Indian market will be made official by the company likely within the first week of March. Samsung authorities have not officially stated anything yet though.